Scores of villagers young and old rush to the side of the roads to watch the caravan, and to wave to the UN peacekeepers. It is a welcome wave. 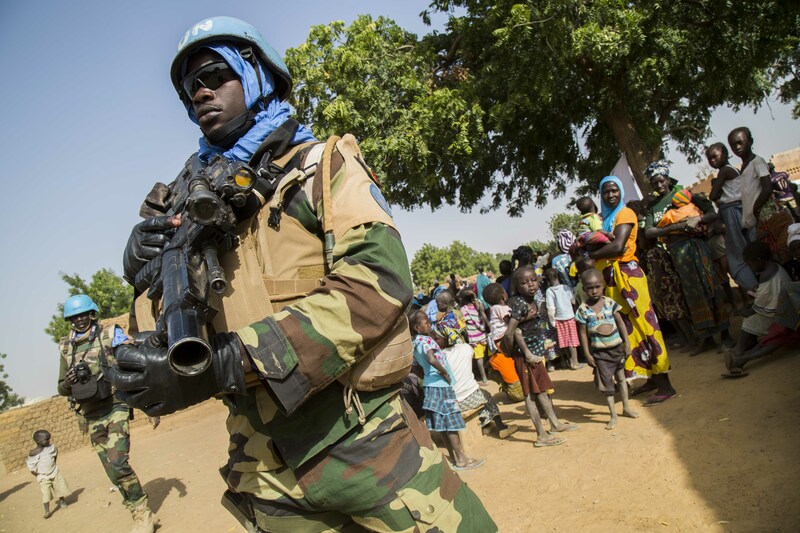 “Our Quick Reaction Force (QRF) deployment enable peacekeeping troops to patrol deeper, to reach remote villages where violence is taking place, to create protective presence and deter further hostilities,” said Lieutenant General Dennis Gyllesporne, MINUSMA Force Commander. 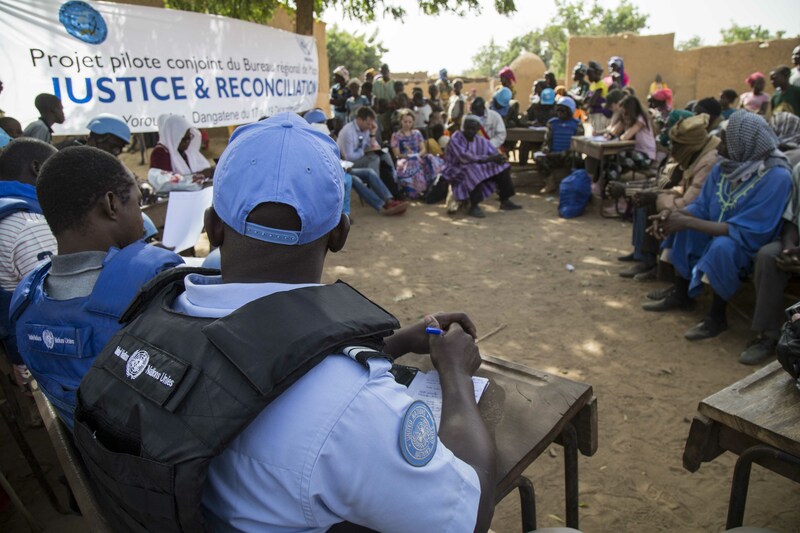 MINUSMA’s mandate (resolution 2423, June 2018),  instructs the mission to protect civilians and their property in Central Mali. With this in mind, military operations have been intensified in the region in order to secure isolated areas with difficult access. From 14 to 22 December, the Senegalese peacekeepers conducted a large operation to secure the circle of Koro, bordering Burkina Faso. Called FADEN 6, the operation included civil-military activities like free medical consultations, sensitization and education sessions on issues such as: social awareness, human rights and justice. Villagers in Dangatene woke up early and gathered under the shade of a large tree on Wednesday. 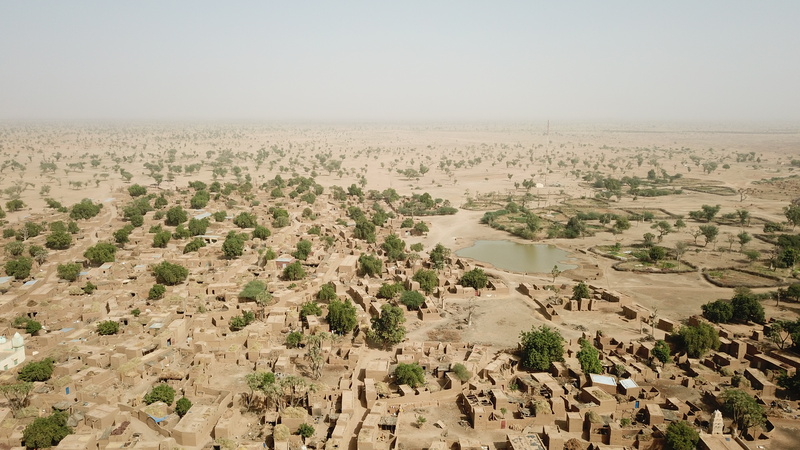 This remote Malian village is made up of mud houses, with no more than 3,000 people. The villagers wanted to meet with UN officers to discuss peace and justice promotion and social cohesion. “The Peace and Justice Reconciliation project objective is to bring back a certain social cohesion in the villages of Am, Yourou and Dangatene, hardly hit by inter-communal violence, and to contribute to facilitate meetings among communities and allow people to talk to each other’s again.” said Fatou Thiam-Dieng, Head of MINUSMA Regional Office in Mopti. The MINUSMA team travelled to these three villages affected by the crisis to listen to them, to stimulate dialogue and contribute to rebuilding the social fabric. 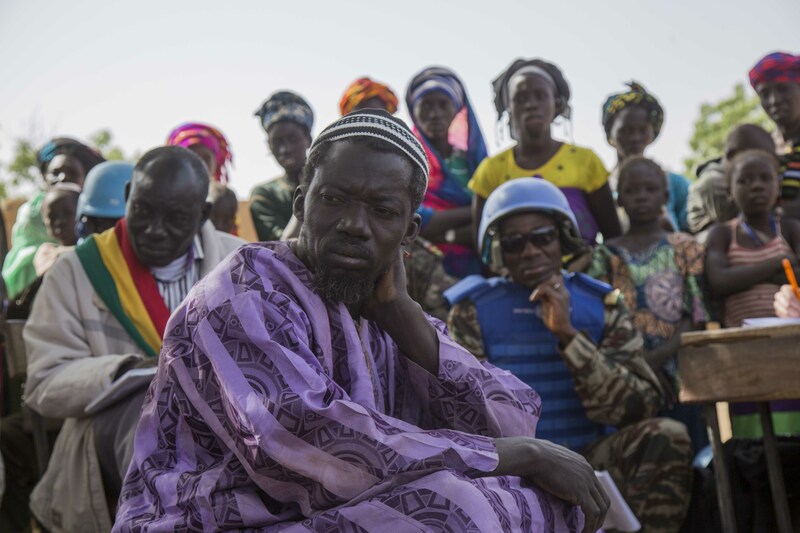 Since the start of the project six months ago, clashes have halted between these three villages, where reconciliation committees were created, using traditional conflict-resolution methods, to find peaceful solutions to internal conflicts within the villages. But for the ordinary people gathered under the tree, like Badoumou Dara, a 48-year-old farmer, hunger and safety are the pressing concerns in their minds. The past year his despair has intensified: “I have never seen anything like this. We have not been able to cultivate in the whole year, what are our families going to eat?” he said. 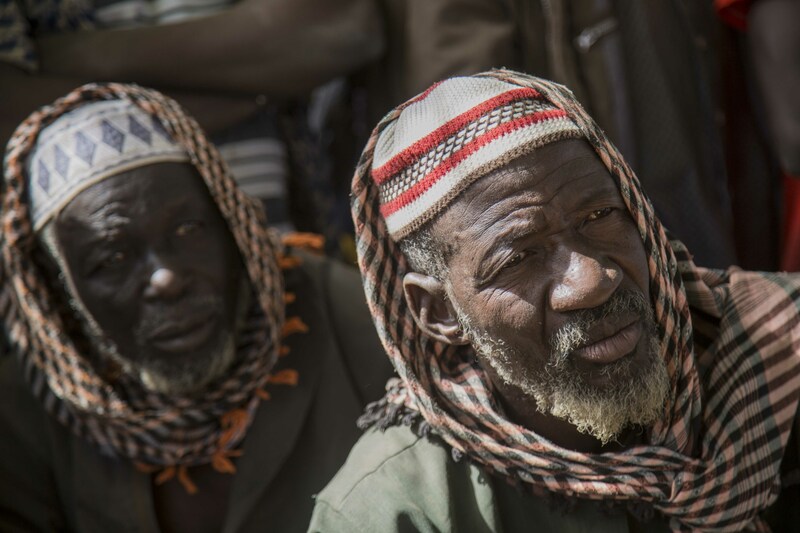 This year the intercommunal violence between armed members of Mali’s Dogon farmers and Fulani herders was raised to a whole new level in the heart of the country, claiming hundreds of lives and displacing thousands of people, from both communities, that had previously coexisted for centuries in exemplary harmony. However, on that morning in Dangatene, the villagers saluted the initiative as a “real glimmer of hope,” adding that they were ready to do anything to get back the understanding and cohesion that once characterized their lives. “All we want is to live in peace,” said Abdramane Sayi, an elderly village chief. He bowed his head as he spoke, a sign of respect. 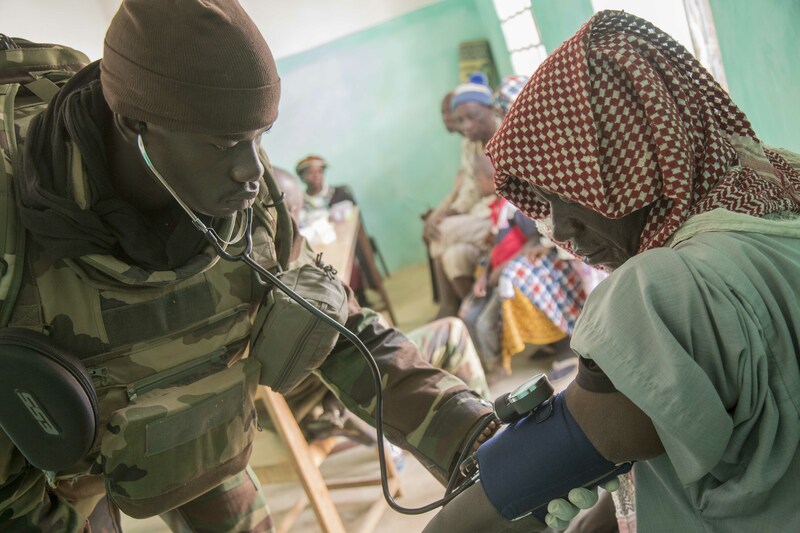 For three days, Lieutenant Tafsir Gueye, the medical officer of the Senegalese Quick Reaction Force, consulted more than 200 people in the villages of Yorou, Am and Dangatene. A hard job given the circumstances in which it is done, that requires extreme professionalism, and above all- patience. “Most common health issues are “neglected diseases” as children malnutrition and for elderly people eye diseases as cataracts and glaucoma”, he said. 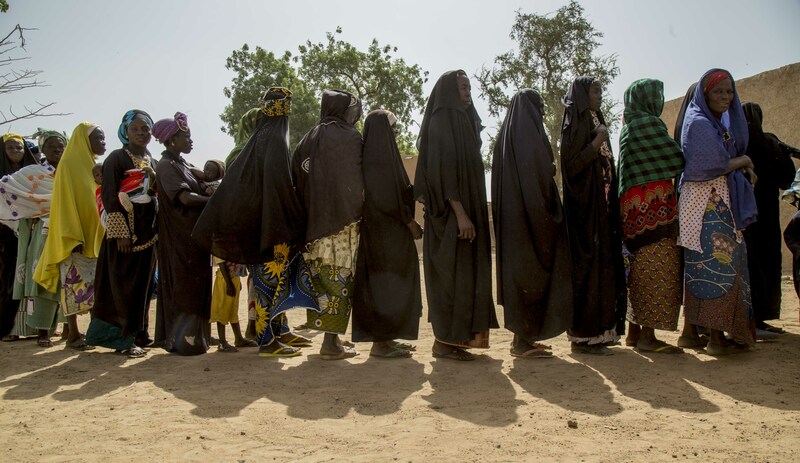 The free medical consultations and medicines have brought many villagers queuing up patiently under the baking sun. 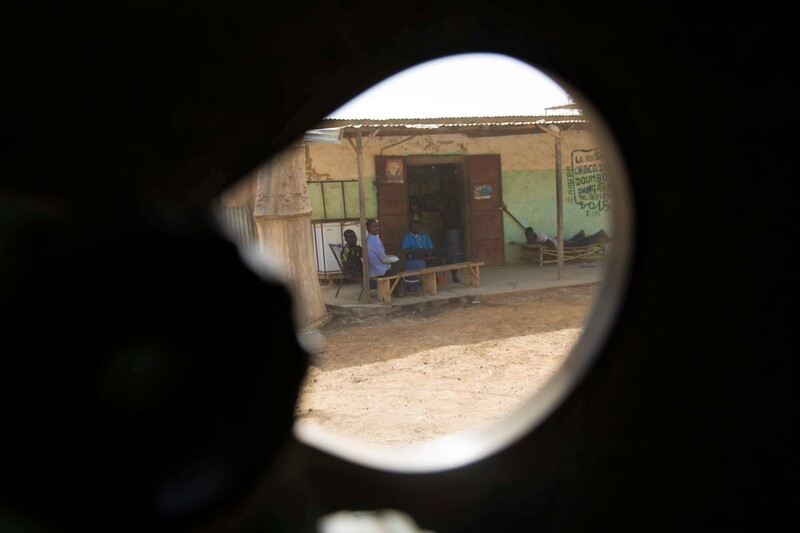 MINUSMA is determined to strengthen efforts to ensure the protection of civilians and ease the inter-community tensions in these distant dust-blown villages, where reconciliation is not just a moment or a word, it is a way of life.